In celebrity news, former Victoria’s Secret angel, Gisele Bundchen admits her shock to the news that Tom Brady was expecting a child with his ex, shortly after the two began dating. The celebrity relationship began in 2006, and Bundchen found out about the pregnancy between Brady and Bridget Moynahan two months later.According to UsMagazine.com, Bundchen shared in her memoir that Moynahan’s pregnancy “wasn’t an easy time” for her, but it ended up being an unexpected blessing that “brought about so much growth.” Bundchen and Brady have been married since 2009 and have two kids of their own. In celebrity news, Gisele Bundchen is recalling a difficult time she went through with now husband Tom Brady. What are some ways to persevere through hard times with your partner? …Need to know the rest? Click here for more. In celebrity news, celebrity couple Tom Brady and Gisele Bundchen were spotted in Costa Rica sharing a loving kiss, days after Brady’s loss at the Super Bowl, according to UsMagazine.com. He even joked about it on Instagram when he posted a photo of the couple smooching Sunday. “This Sunday’s outcome is a lot better than last Sunday’s! #losingstreakstopsatone,” he captioned. Adorbs! This celebrity couple isn’t letting the Super Bowl loss affect their relationship. What are some ways to keep negative life events from putting a damper on your relationship? 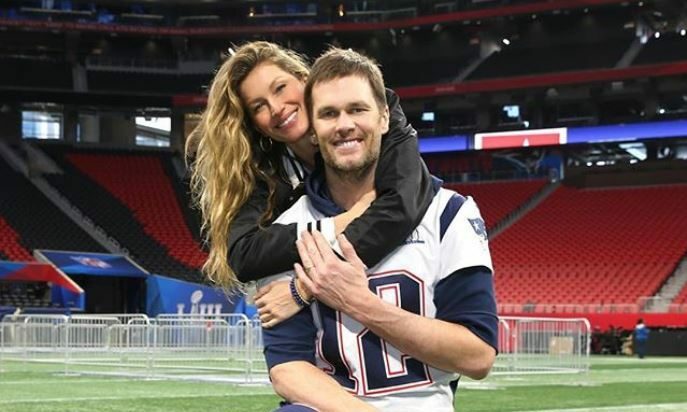 In latest celebrity news, Gisele Bundchen comforted her husband Tom Brady, quarterback for the New England Patriots, after his team lost to the Philadelphia Eagles in the 2018 Super Bowl. Although many Patriots fans were distraught, Bundchen maintained a positive attitude as she posted a picture of herself hugging Brady on Instagram with the caption: “Congratulations Eagles for winning the Super bowl, what a game that was! Congratulations Patriots for giving your best and to my love, we are incredibly proud of you because we are able to see every day all the commitment, sacrifice and hard work that you have devoted to become the best in what you do. We love you!” According to EOnline.com, even though the Eagles won the game 41-33, Brady set a record! He now has the most passing yards ever in a Super Bowl game and in any postseason game. 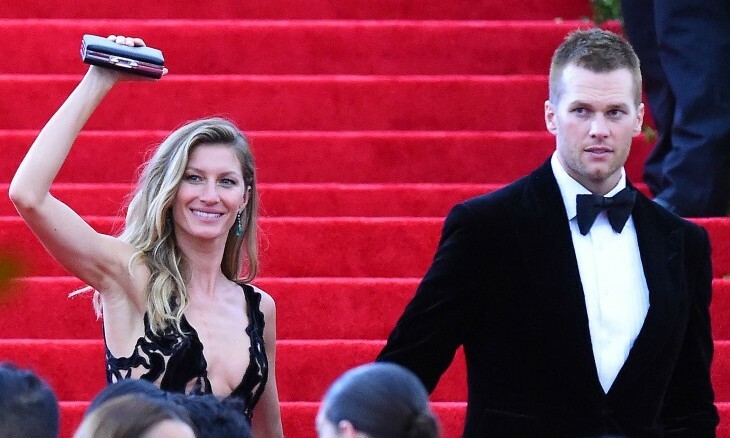 In this celebrity news, Gisele is there for Tom in the good times and the bad. What are some ways to console your partner after a disappointment? …Don’t miss the rest! Click here! 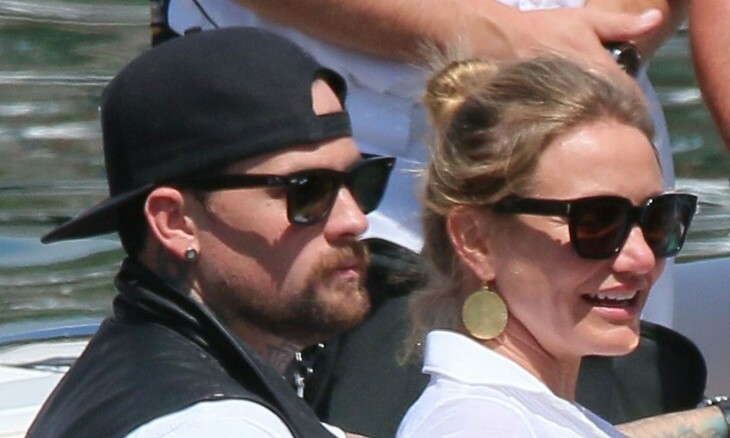 In latest celebrity news, this celebrity couple is definitely winning! Tom Brady celebrated his fifth Super Bowl victory with wife Gisele Bündchen and their three children, as the Patriots came back to beat the Atlanta Falcons Sunday, February 5th. 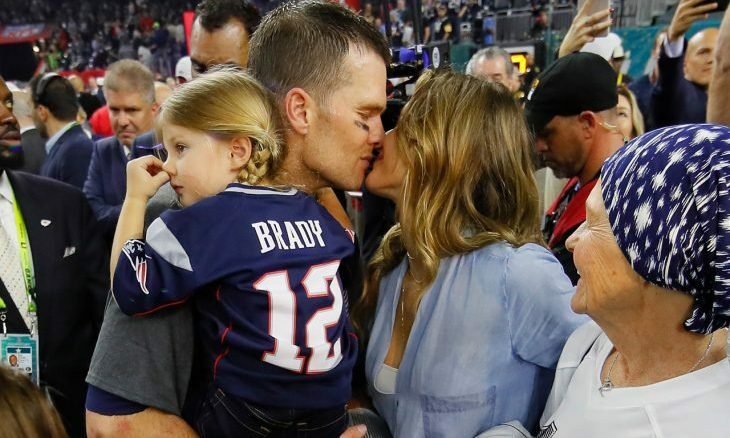 Immediately following the Super Bowl win, Brady had only one thing on mind as he stated, “This is unbelievable, I’m going to see my family.” According to EOnline.com, the decorated quarterback could barely keep his emotions together as he embraced his supermodel wife with a passionate kiss while holding his biggest four-year-old fan, their daughter Vivian. After receiving the MVP Award for Super Bowl LI, the celebrity couple couldn’t keep their eyes (or hands) off of each other while their sons John (9) and Benjamin (7) jumped and danced about the fallen confetti. No matter what team you wanted to win, this celebrity news has us rooting for Tom Brady and his family! What are some ways to support your partner in his or her endeavors? Many thanks to our favorite celebrity couples who are saving the planet! It’s amazing what lengths our favorite celebrity relationships go through to make sure their homes are eco-friendly. Plus, that’s in addition to driving environment friendly cars and helping others to adapt to a green lifestyle. They even make very generous contributions to their favorite environmentalist charities and organizations. Talk about relationship goals! The relationship advice we can all take away from this is that we must always give back. It seems like everyone is ready for Christmas! The holidays will be just what this celebrity couple, Tom Brady and Gisele Bündchen, need. The NFL pro gave his Brazilian wife a cute shoutout via Facebook. His wife was putting the final touches on their tree. According to UsMagazine.com, the celebrity couple were having serious fights due to Brady’s suspension. Let’s hope this famous Hollywood couple enjoy their Christmas! …Curious? Click here for more. Even celebrity marriages encounter issues. What are some ways to identify the issues you’re having in your relationship? There may not be any cozy cuddles this fall for celebrity couple Tom Brady and Gisele Bundchen. UsMagazine.com reports that sources say that Bundchen is threatening a celebrity divorce with Brady! According to the source, things have been on the rocks for this celebrity couple ever since NFL pro Brady was given a four-game suspension in May. Their fighting has been so heated that Bundchen has been in contact with a divorce lawyer! Surprisingly enough, Bundchen and Brady have been making an effort to spend one-on-one time together lately as well. Only time will tell if this celebrity love will last! 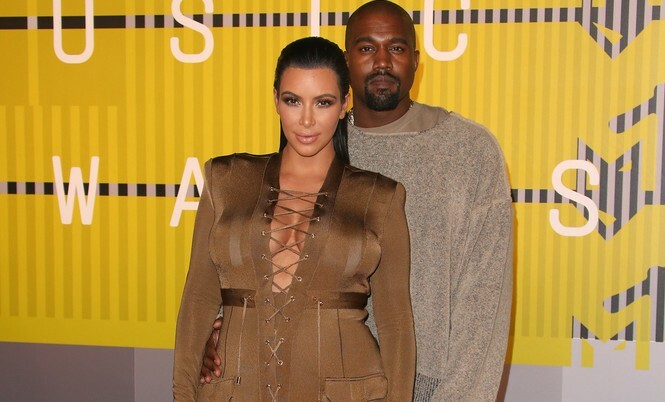 Celebrity divorce may be on the way for this couple. How do you know when it’s time to call it quits on your marriage? …Want to know the signs? Click here to read on! There’s no lack of celebrity love coming from Tom Brady! What are some ways to make your longtime partner feel special? A lady in love! 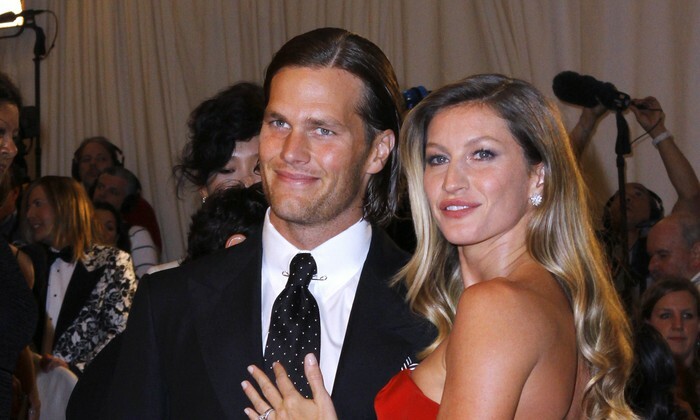 According to UsMagazine.com, Gisele Bundchen knew Tom Brady was The One instantly. She said, “I knew Tom was The One straightaway. I could see it in his eyes that he was a man with integrity who believes in the same things I do.” This celebrity couple met on a blind date and are now happily married. The supermodel brought their kids to the big game on Sunday, and they cheered on her celebrity love as he claimed his fourth Super Bowl victory. The hot celebrity couple share two children together, son Benjamin and daughter Vivian, and Brady’s son with Bridget Moynahan, Jack. Celebrity love is just like any other variety of love in that it can appear when you least expect it. What are some ways to know you’ve found The One? …Ready for the rest? Click here! A vacation in Costa Rica with wife Gisele Bundchen and 2-year-old son Benjamin was more than enough compensation for Tom Brady’s loss in the Super Bowl recently. Supermodel Bundchen had an outburst after the loss, blaming Brady’s teammates, according to People. However, that now seems to be water under the bridge as they vacationed at her home in Santa Teresa. There’s nothing like romance to cure a broken spirit. What are some reasons to go on vacation as a couple?